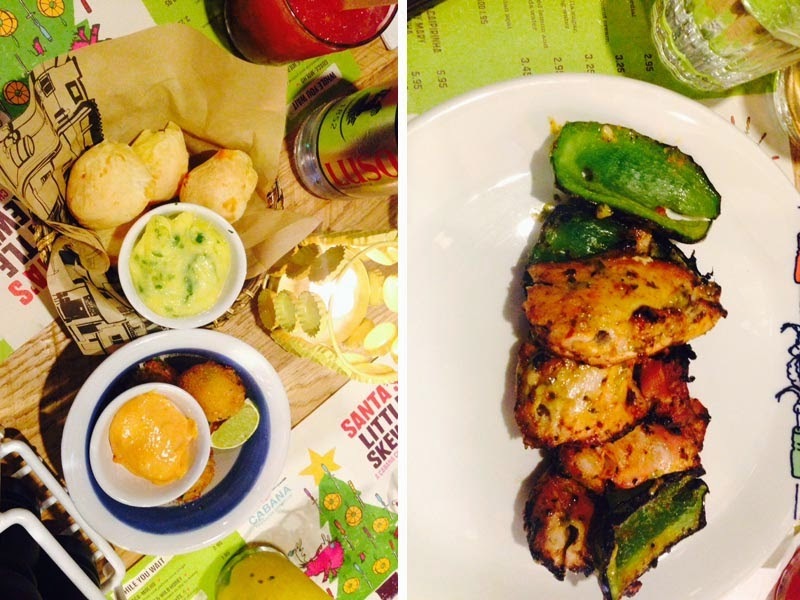 Cabana Brasil opened a few weeks ago in Trinity Leeds. I couldn’t make it down to their opening night so they kindly invited me back for a slap up meal. I decided to celebrate my anniversary in their surroundings, so I was ready for something special but not too formal. I have to say the staff are so friendly and really can’t do enough for you. 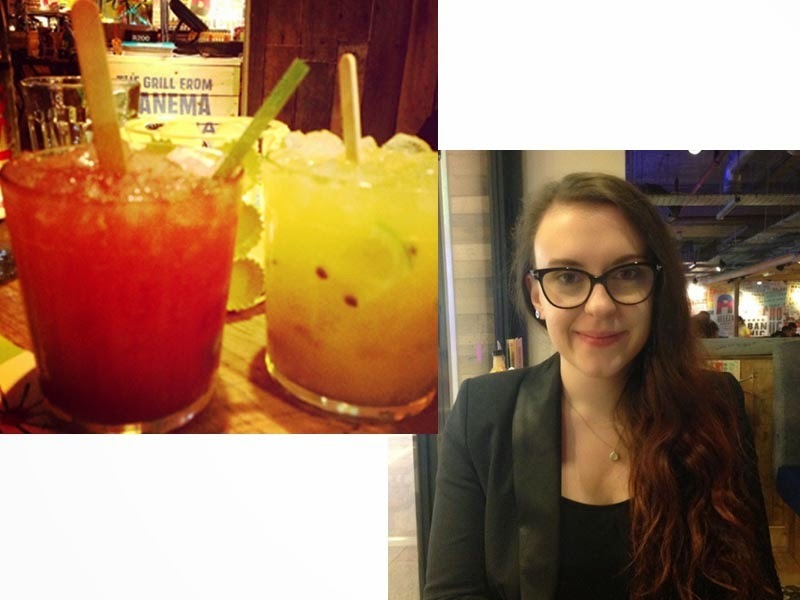 We were brought some amazing caipirinhas – I had strawberry and Rory had passionfruit. This only adds to the excellent food on offer. For starters we decided to go for the Cheesy Baked Dough Balls and the Crunchy Fried Rice Balls to share. 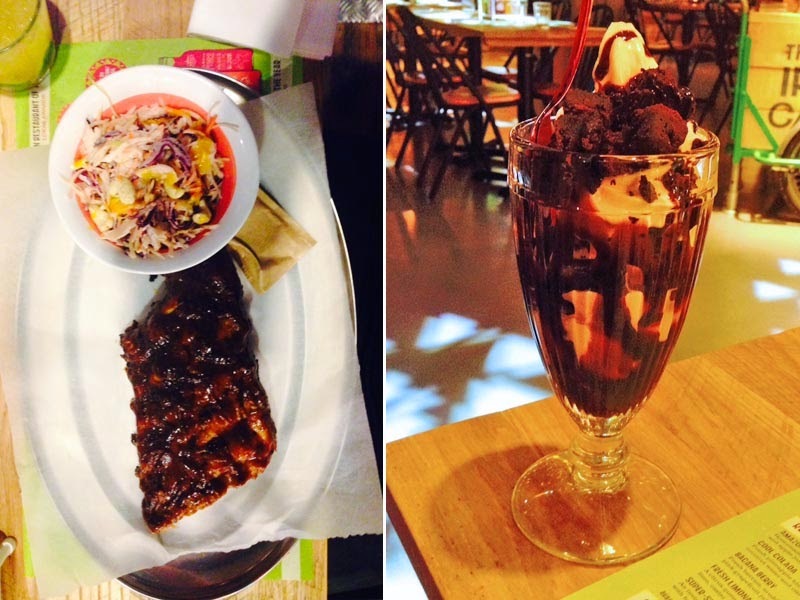 This was just what we needed to get our taste buds flexed ready for the main event. The starters were really tasty and you have the option of sharing a few of them to create a ‘street food’ theme. For our mains I went for the Zingy lime and garlic chicken skewer and Rory went for the Ribs. My skewer was brought to me by a lovely lady who served it directly onto my plate from the skewer, I really liked this as you can tell it hasn’t been sat around in the kitchen for hours on end. Rory really enjoyed his Ribs, he especially enjoyed the barbecue sauce that they were dipped in. It’s a messy main but worth the effort. We had a little more room for dessert and we thought it would be rude not to. I opted for the Caramel Flake Sundae which was amazing, you get so much brownie for your money! Rory had the Peanut Butter frozen yoghurt with caramel sauce, peanut brittle and crushed Oreos. It must of been good because he wants to go back just for the dessert! Our waitress was kind enough to also bring a sample of their Chocolate Raindrop Doughnuts which I will have to get next time. "What I Wore: #XmasJumperStyleChallenge with Beyond Retro"
"In the Spotlight: Paris Christmas Gift Guide"